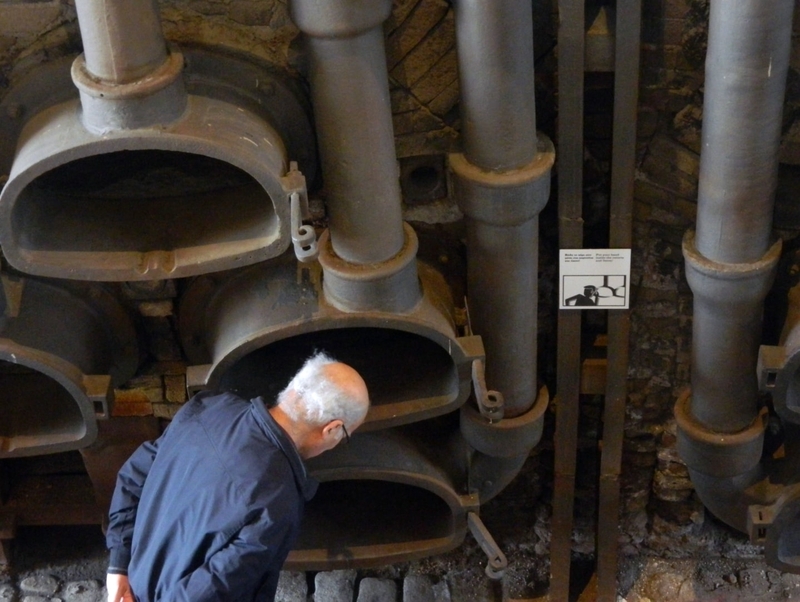 In the Oral History Review‘s Winter/Spring 2019 issue, we feature “Oral testimonies as independent museum exhibits: A Case-Study from the Industrial Gas Museum in Athens,” by Andromache Gazi, associate professor of museology at the Department of Communication, Media and Culture, Panteion University of Social and Political Sciences, Athens, Greece. Gazi’s article, one of many from international authors in recent issues, explores a distinct use of oral testimony as public history, as stand alone interpretive elements in a site-specific museum exhibition, Gazi, Are You Listening? exploring the Gazochori neighborhood surrounding the Athens gasworks. To immerse readers in the physical space, we’ve supplemented the article with a gallery of images from the temporary exhibit, which was held at the Industrial Gas Museum in Athens during 2016. Exhibition in Industrial Gas Museum, Athens. Visitors could hear oral testimonies by ex-workers and neighborhood inhabitants upon activation of hidden sensors near the nineteenth-century retorts’ mouth. Image courtesy Technopolis, City of Athens.